The standard letter size rustic menu boards with elastic bands make a beautiful presentation for you menus. The banded menu boards are great for showcasing restaurant menus, cafe menus, night club menus, drink menus, promotional materials and more! The standard size rustic, banded menu board have so many great uses. They are also durable and lightweight. Made from real wood and hand finished to add that rustic charm. Great for a Farmhouse theme or Rustic theme. Easily change out your seasonal menus in just a few seconds. 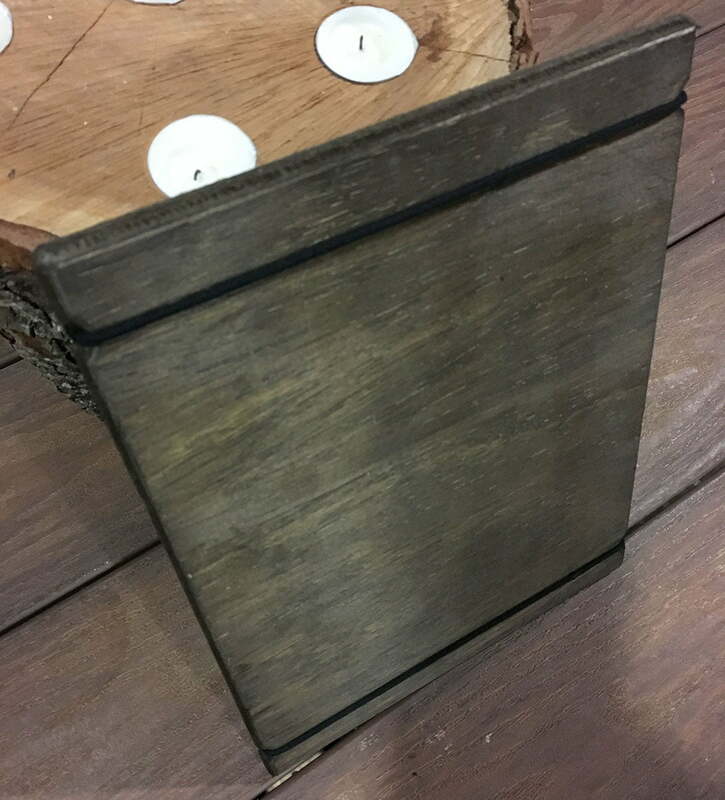 Rustic menu boards also include two elastic bands positioned at the top and bottom of the wood menu board. Every menu board comes pre-assembled and ready to display right out of the box. Need a larger order or custom sized menu board order? Feel free to message us and we can cover it! We can stain your menu boards any color you would like! Just let us know the color that works best for you.